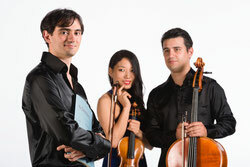 Trio Kanon, (the name refers to the Canone but simultaneously is coming from the union of two Japanese words: “Ka” – “Flower” and “On”– “Music” so literally “Flourishing Music”) arise in summer 2012 from the friendship between three musicians with the same purpose to make music together. 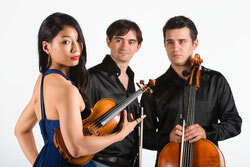 With this premise in 2012 Lena, Alessandro and Diego started their chamber music experience building their repertoire under the guide of the Trio di Parma (Alberto Miodini, Ivan Rabaglia, Enrico Bronzi) at the International Chamber Music Academy in Duino, founded by the Trio di Trieste in 1989. 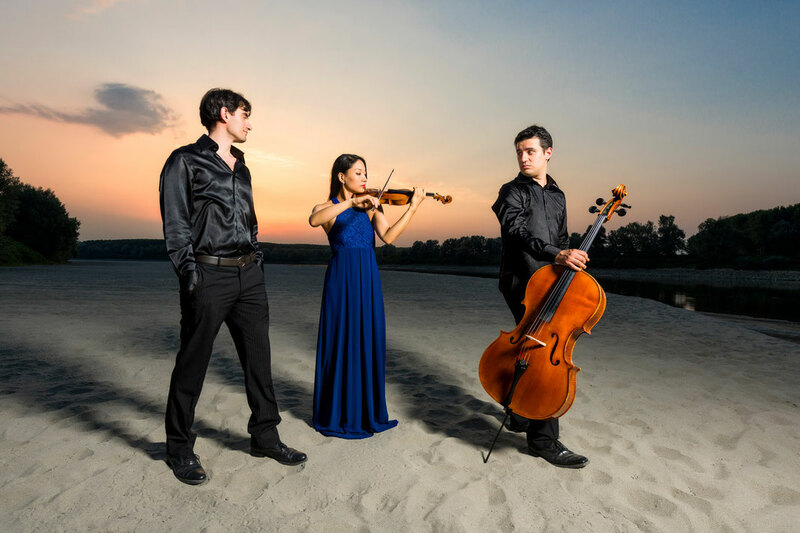 Trio Kanon won the 1st Prize, the Audience Prize and the Special Prize for the best Brahms at the International Chamber Music Competition Pinerolo & Torino 2018, the 2nd Prize (1st not assigned) at the On Stage International Chamber Music Competition 2017 and the 1st Prize and the Audience Prize at the Rospigliosi Chamber Music Competition 2015. Trio Kanon was the best group in the Trondheim International Chamber Music Academy for Piano Trios 2014 and in 2015 won the “Chamber Music Award”, sponsored by the Haydn institute and the “University of Music and Performing Arts” in Vienna, as best chamber music group at the “Internationale Sommer Akademie Prag-Wien-Budapest”. Recent concert appearances has been at the “Fenice” theatre in Venice, the “Gromo Losa” palace in Biella, the Teatro Verdi in Trieste, the Teatro Vittoria in Turin, the teatro Giacosa in Ivrea, the new “Arvedi” Auditorium in Cremona, Palazzo Ducale and Palazzo Te in Mantova during the “Mantova Chamber Music Festival”, the Portogruaro Festival and abroad United Kingdom, Norway, China, Croatia, Austria and United States with great success in public and critics. In 2014 the Trio attended the masterclasses with Alexander Lonquich at “Accademia Chigiana” in Siena, with Robert Cohen at Snape Maltings (Uk), with Hatto Beyerle, Miguel Da Silva and Annette von Hehn (Atos Trio) at Trondheim Chamber Music Academy 2014 (Norway), with Oliver Wille at ProQuartet in Paris and at the Internationale Konzertarbeitswochen in Goslar (Germany) and with Avedis Kouyomdijian, Johannes Meissl, Anita Mitterer, Peter Nagy, the Talich Quartet at ISA2015 summer academy in Semmering and Reichenau an der Rax (Vienna). 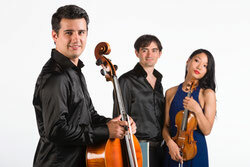 In 2015 Trio Kanon has been invited as group in residence at Snape Maltings (UK) performing twice at the Jubilee Hall in the prestigious “Aldeburgh Music 2015” festival. During 2016 Trio Kanon has been booked for a tour in China performing at the Parkview Green Museum in Beijing for the Italian Culture Institute. They recently recorded for prestigious review “Amadeus” and “Movimento Classical” label music by L. v. Beethoven.